Do you dread a change in the season because it always triggers a sinusitis attack? Do you fear those few days of extreme discomfort when your nose seems to launch a World War III attack on your body? 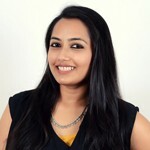 Millions of people worldwide are acute or chronic sufferers of sinusitis and are always on the lookout for the best home remedies to relieve all that pain and discomfort. Opting for home remedies to treat sinus-related issues is an excellent route to take, especially when you do not want to load your bloodstream with all those antibiotics and antihistamines that doctors prescribe. We have compiled a list of simple and natural solutions for sinusitis. Keep reading to know more. Whether it is acute (lasting for less than four weeks) or chronic (lasting for more than four weeks), sinusitis means an inflammation of the lining of the sinuses. The skeletal system has air pockets, or sinus cavities lined by mucus membranes, in many places of the body. The facial bones have three pairs of sinuses. Why? Because if your facial bones were solid, your head might be too heavy to hold up! When these sinuses are dry, they are completely unnoticeable. If, for some reason, they become filled with liquid and bacteria, viruses or fungi, the build up in pressure results in a painful attack of sinusitis (1). All in all, this is a very agonizing and uncomfortable infection that anyone would be glad to get rid of it as soon as possible. Most doctors treat a sinusitis infection with antibiotics, antihistamines, painkillers, and antipyretics (for fever). They may also prescribe steam inhalations and bed rest. In rare cases, where sinusitis has become extreme, the doctor surgically drains the sinuses of any built-up fluid. Or they recommend surgery if you have a deviated septum. Health conditions like deviated nasal septum, nasal bone spur, or nasal polyps (1, 2). Though doctors can prescribe good OTC medications for sinusitis infections, you too can take palliative measures and home remedies to help you combat this nasty infection. It is wise to see a doctor if your symptoms persist even after a week of trying these sinusitis home remedies. Mix all the oils and pour a drop or two of this mixture on your fingertips. Massage it on your face, forehead, temples, and back of the neck with your fingers. Breathe deeply to inhale the vapors of these oils. Reapply every few hours for maximum benefit. Essential oils of eucalyptus, lavender, and lemon help reduce pressure headaches and act as natural decongestants agents. 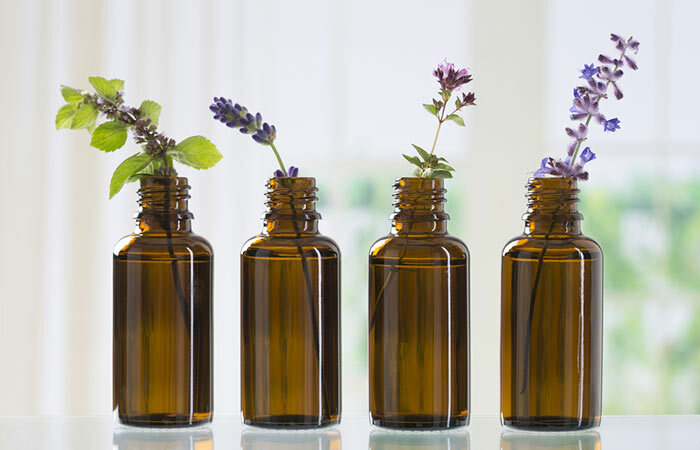 Eucalyptus oil is anti-inflammatory and antimicrobial, while lavender oil is soothing for the mind and body (3, 4). Lemon oil is an antifungal agent and also an analgesic (5, 6). Mix the ACV in the water and drink this. You can also gargle with this mixture for added benefits. 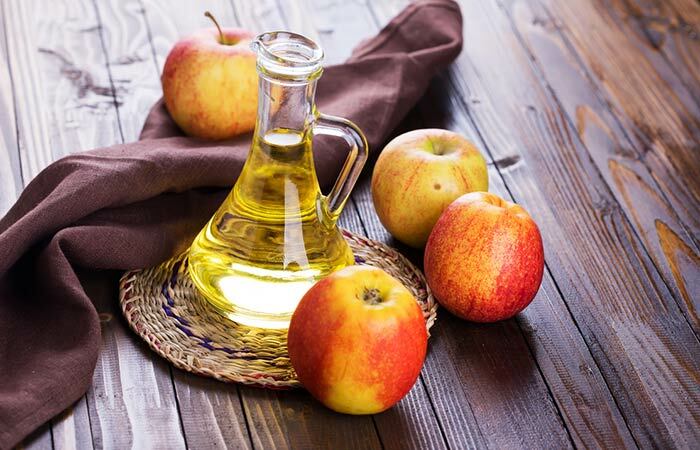 The vitamins and minerals present in ACV minimize the symptoms of allergy. It balances the pH in the nasal sinuses and clears out the excess mucus that has built up. It antibacterial and antifungal properties treat the infection that is causing the sinusitis (7, 8). Add all the ingredients to the hot water and mix them well. Sip this tea while it is warm for instant relief from sinus symptoms. 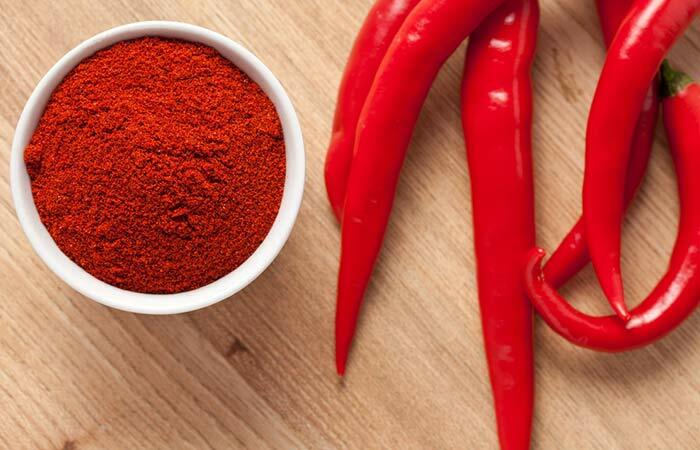 Cayenne pepper is a spicy decongestant and clears out your sinuses quickly (9). The honey and lemon balance out the spiciness of the cayenne in the tea. Add the ginger to the hot water and let it steep for 10 minutes. Strain and sip this tea. You can add a dash of honey for flavor. Have three cups of ginger tea in a day. 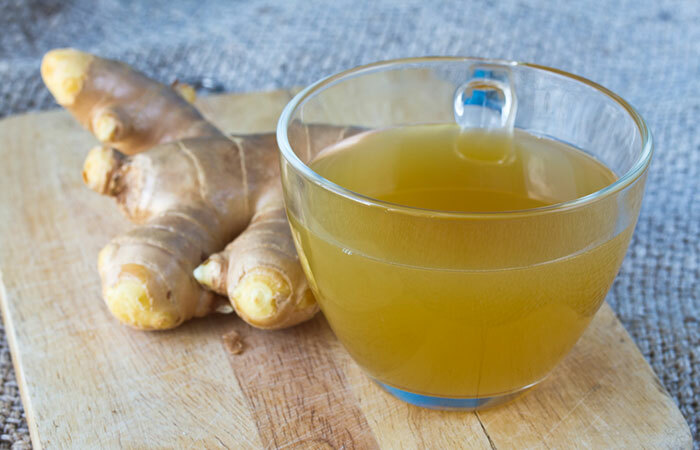 The high level of antioxidant activity demonstrated by ginger makes it an effective home remedy to treat sinus infections. Its anti-inflammatory properties will reduce the swelling and irritation in the nasal passages. It is also antimicrobial in nature and hence, will clear out the sinus infection (10). Steep the green tea in the hot water for a few minutes. Strain and have this tea while it is still warm. Honey and lemon are good additions to enhance the flavor of this herbal tea. 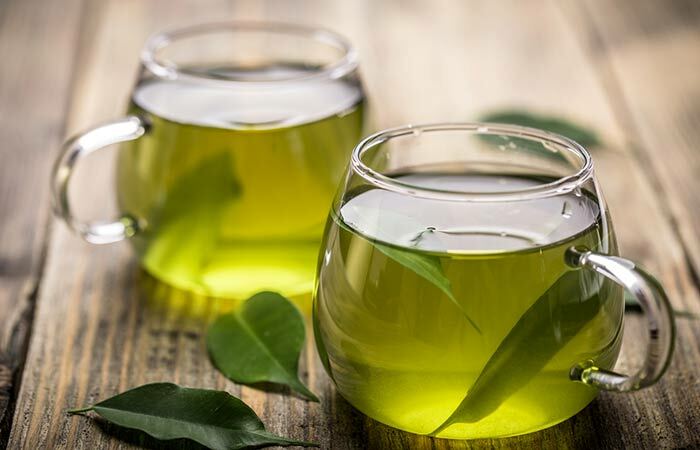 Drink three to four cups of green tea in a day. Green tea is touted as one of the best herbal teas. Its high antioxidant content and healing powers make it a go-to home remedy for most ailments. It is also effective when it comes to treating sinusitis (11). Note: Green tea does contain caffeine but only 1/3rd to ½ of that in regular tea. Pour the hydrogen peroxide into the spray bottle. Bend over a sink so that you are looking to the side with your ear facing the sink and in this position, spray the hydrogen peroxide into one nostril, change sides and repeat. Do this a few times. Take deep breaths so that the peroxide solution reaches your nasal sinuses. Repeat after a few hours, if required. 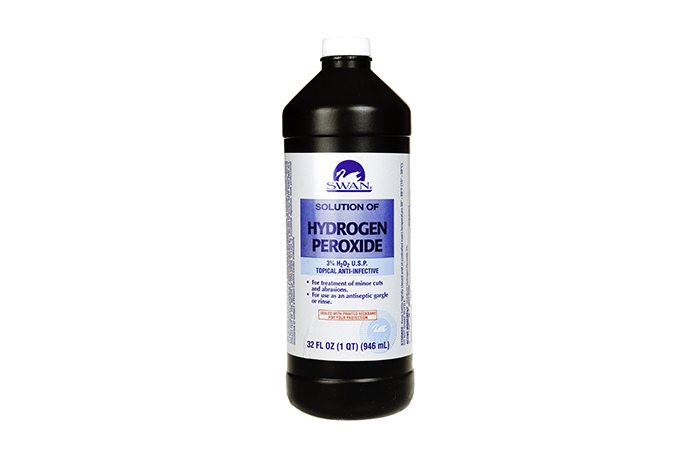 Hydrogen peroxide is an astringent and an antiseptic and will kill the microbes that are growing in your nasal passages and blocking them (12). 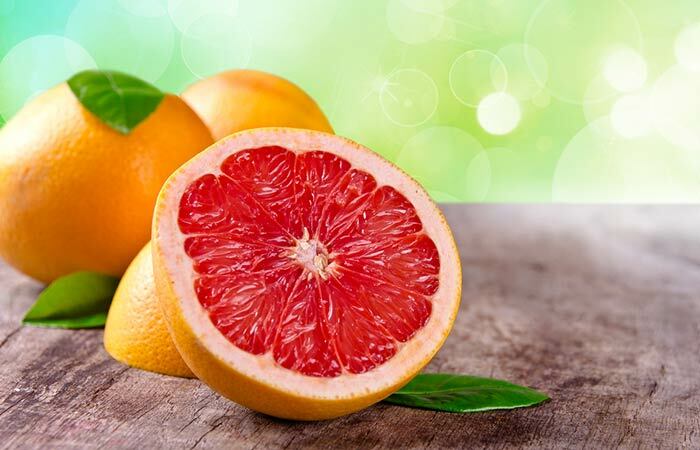 Add the grapefruit seed extract to the water and inhale it. This unusual extract has antibacterial and antifungal properties that will treat the underlying infection causing sinusitis (13). Note: You can do the same with another antifungal, tea tree oil. Mix both the ingredients and warm up the mixture for a few seconds. Ingest this two times daily to prevent sinus. 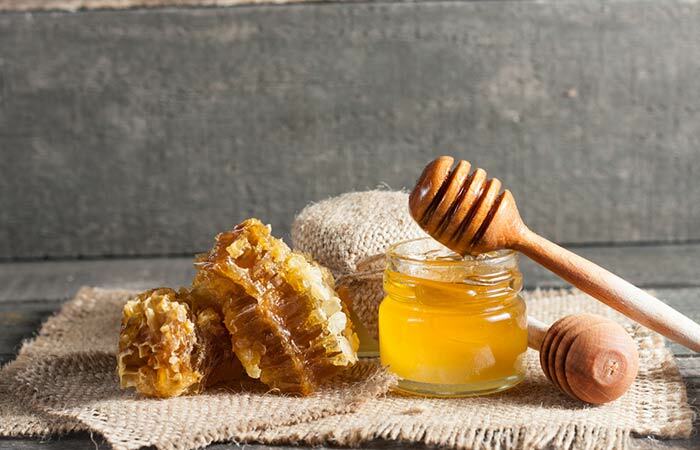 Honey is an antimicrobial agent against many bacteria, fungi, and viruses. It soothes the nasal passages and the throat that are inflamed during a sinus infection (14). Freshly grate the horseradish and take the above-mentioned amount of it. 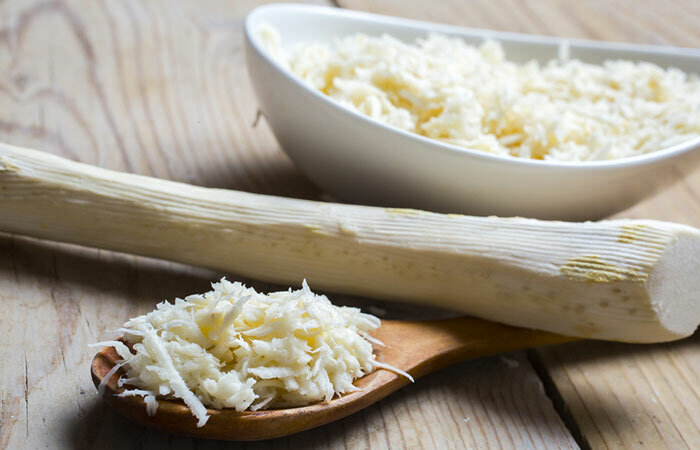 Horseradish is an antimicrobial agent that will eliminate the bacteria or fungus causing the sinus infection (15). Do not ingest more than the recommended quantity as excess horseradish can cause stomachache and vomiting. Add all the ingredients to the warm water in the bathtub. Give it a stir or two. Soak once every day for a calming and detoxifying experience. 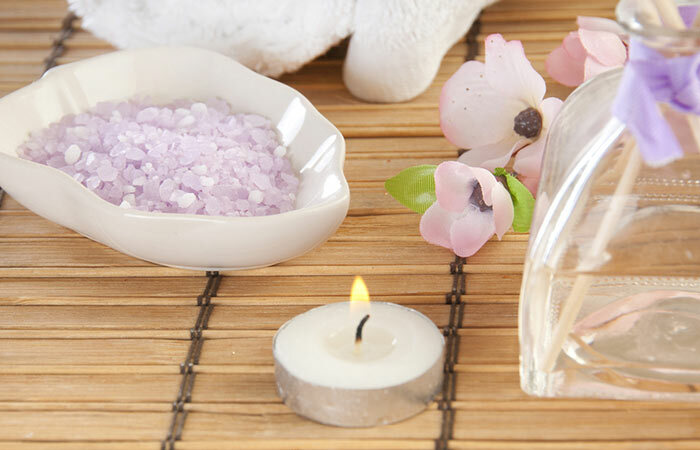 Epsom salt pulls out all the toxins from your body and relaxes your muscles (16). Baking soda, being an antibacterial agent, will kill infection-causing microbes on your skin (17). Tea tree oil is also an effective antimicrobial agent that will help clear out the infection in your sinuses as you are inhaling the steam from your bath (18). Fill hot water in the utensil and add your favorite essential oil to it. Eucalyptus, lemon, tea tree, geranium, and lavender work really well for sinus congestion. Cover your head and torso over the pan with the towel so that it makes a sort of ‘tent’. Next, bask in the glorious steam, inhale and exhale deeply from the nose (this might be difficult to do with a stuffy nose; it will become possible as the steam opens up the passages.). Inhale the steam for about five to eight minutes, taking care not to blow your nose too strongly into a tissue. Rather, wipe away any discharge with a tissue to avoid aggravating the infected sinuses. When you finish, don’t uncover the face and chest immediately. Lie down for about 10 minutes, wrapping the same sheet or towel around your head and chest like a shawl. Repeat this twice a day to clear your sinuses. For mild sinus infections, nothing works better than a few minutes of warm, moist, wonderful steam. You will feel like a new person each time you take steam inhalation. This is the perfect home remedy for sinus cold, pain, headache, and all other sinusitis symptoms (19). Close one nostril and place nasal spray bottle below the other nostril. Press the bottle and inhale the spray. Repeat the same with the other nostril. Whenever your nose feels dry. Sinus infection is caused when your nose becomes too dry and mucus doesn’t flow. Nasal sprays and rinses restore moisture in the nasal passages and sinuses and prevent inflammation of the mucus membranes. Melt the coconut oil and swish it around your mouth like mouthwash. Keep swishing for at least five minutes. You can continue swishing for about 20 minutes. Spit out the oil and rinse your mouth with lukewarm water. Do this every day untill your sinuses clear out. 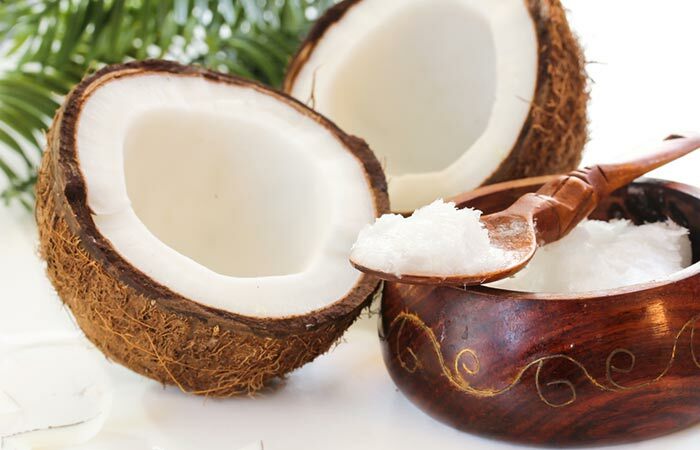 Oil pulling has been used in Ayurveda to draw out the toxins from the oral cavity (20). This process also increases the flow of lymph in your sinuses and clears the congestion and mucus build-up (21). Start using these home remedies before the pain gets unbearable. Clear out your nasal passages easily and breathe in relief. Listed below are a few frequently asked questions regarding sinusitis. Mix the warm water, sea salt, and tea tree oil. Mix well. Tilt your head over the sink to a 45-degree angle. Place the spout of the neti pot in the top nostril and pour the solution into that nostril. The solution will come out through the other nostril. Blow your nose, refill the neti pot, and repeat on the other side. The neti pot thins the mucus and helps flush it out of the nasal passage. Tea tree oil opens up the sinuses and relieves sinus pressure and nasal congestion. These home remedies and preventive measures do not guarantee a 100% cure from sinusitis for life, but they can give you relief from your current infection and maybe prevent future attacks. Make sure you take proper measures to protect yourself from burns while taking steam inhalation as too much direct contact with steam can and will cause severe burns. With all the above-mentioned home remedies, taking ample rest and a lot of fluids is a constant. We hope you will definitely find the home remedy for sinusitis that works best for you. Know Your Triggers – Different factors can trigger a sinus infection in different people. It may be a change in seasons, exposure to the sun, a cold, hay fever, allergies, too much sugar and dairy in your diet, etc. If you see a pattern of triggers that always brings you down with a sinus infection, avoid them. As with every other illness, prevention is better than cure. Humidify – Sinusitis becomes aggravated by dry air. Make sure you sleep and rest in a room with enough humidity. Too much humidity, again, can actually make the infection worse by giving the microorganisms a breeding ground. If you use a humidifier, place it close to your bed. If you normally use a vaporizer, ensure that you use it at least three to four times a day to keep the nasal passages comfortably moist. Stay Cool – It’s not rocket science that exposure to too much heat will dry up the nasal passages and sinuses. Dryness of the sinuses and nose aggravates and/or triggers a sinus infection. Steer clear of the sun in hot, dry weather. During colder weather, do not overheat your home, especially your bedroom. It is better to keep the room temperature a little low and put on woollens rather than keeping it at 28 degrees C (82 F) and wearing just a T-shirt. Ventilation – If you live in a permanently air-conditioned and shuttered up house, there are many other infections that can set in besides sinusitis. Never ignore the benefits of fresh air. Open the windows and doors on days that are warm, even if it is for just 30 minutes. Allow all the stale air to be eliminated. If you work in a 24/7 air-conditioned office, you can’t open the windows. Instead, you can go out during breaks to get that much-needed fresh air or purchase a small air purifier for your office or desk. Detox Your Surroundings – Many times, it is not just the weather that triggers a sinus infection. Household chemicals may also be the reason for your sinus woes. Find out if irritants like passive (or active) cigarette smoke, household cleaners, deodorants, hairsprays, and pet hair are aggravating your sinusitis. Try to eliminate the irritant and replace it with something organic. Stay Hydrated – We can never say enough about the many benefits of water. Stay hydrated to avoid dryness from within. Have your daily recommended eight to 10 glasses of (non-cold) water, drink hot fluids like tea and soups, and take hot showers or steam baths. Water is good for your sinus infection in any of these forms. Avoid alcohol and coffee as they are both dehydrating and will cause the throat and nasal passages to dry up and cause a lot of discomfort. 2. What Are The Symptoms Of A Sinus Infection? Pain in the face (around the eyes, forehead, and the cheekbones), the location of the sinuses. 3. What Foods Are Good For A Sinus Infection? There are many power foods that you can include in your diet to fasten the healing process of the sinus infection. Include anti-inflammatory foods like pineapple, berries, cherries, beetroot, broccoli, tomatoes, salmon, tuna, herring, etc. Include antibacterial foods like garlic, ginger, onions, and limes. Include plenty of hot fluids like herbal teas and clear soups. 4. What Foods Can Irritate Your Sinuses? If you are allergic to certain foods, then these, when ingested, may trigger a sinus infection as well. Be aware of which foods are your trigger foods and stay away from them. When suffering from sinusitis, it is advisable to not avoid dairy and its products, eggs, refined vegetable oils, and sugary foods as these can increase mucus production and thicken mucus in the body. 5. Acupuncture For Sinuses Pain – Does It Work? Another simple remedy for sinusitis is to use acupuncture at the points recommended for the sinuses. This ancient Chinese technique is said to enhance the circulation of body fluids, decrease inflammation, strengthen the immune system and help the body to heal itself. Studies have proven that acupuncture can improve symptoms of nasal sinus congestion (22, 23). Caution – Acupuncture should be administered by certified professionals only. Do not attempt this without supervision. These home remedies and preventive measures do not guarantee a 100% cure from sinusitis for life, but they can give you relief from your current infection. Make sure you take proper measures to protect yourself from burns while taking steam inhalation as too much direct contact with steam can and will cause severe burns. With all the above-mentioned home remedies, taking ample rest and a lot of fluids is a constant. We hope you will definitely find the home remedy for sinusitis that works best for you. How To Use Eucalyptus Oil For Sinus And Nasal Congestion? Breathe Easy - The Best (And Healthiest) Eye Mask I’ve Ever Used!